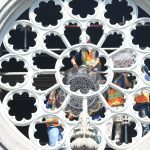 Historic restoration of Bigelow Chapel’s Great Rose Window began this week as part of the larger Bigelow Chapel revitalization project. 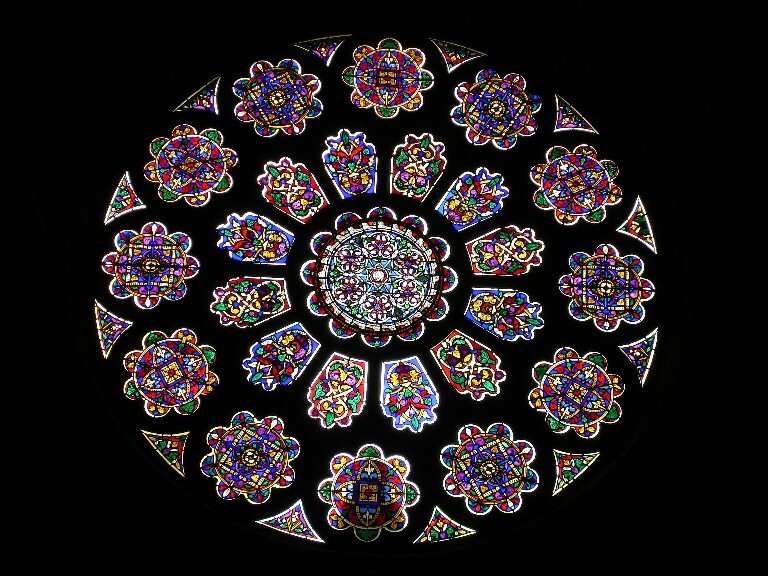 Located over the entrance door to the Chapel, the large window is an important example of early stained glass in this country. 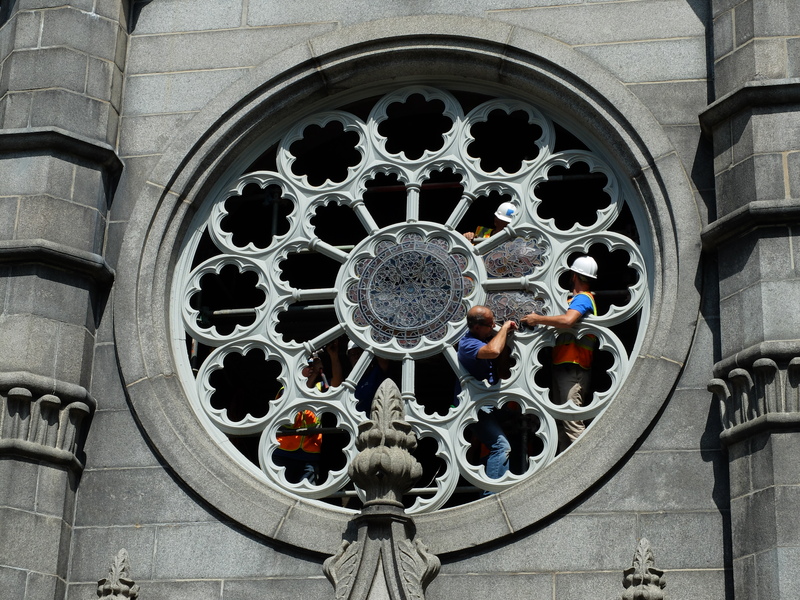 Today, the window is urgently in need of restoration. 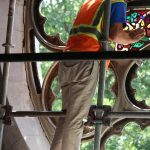 The glass panels are bowing and cracking, and previous waterproofing repairs obscure the delicate painted glass designs. 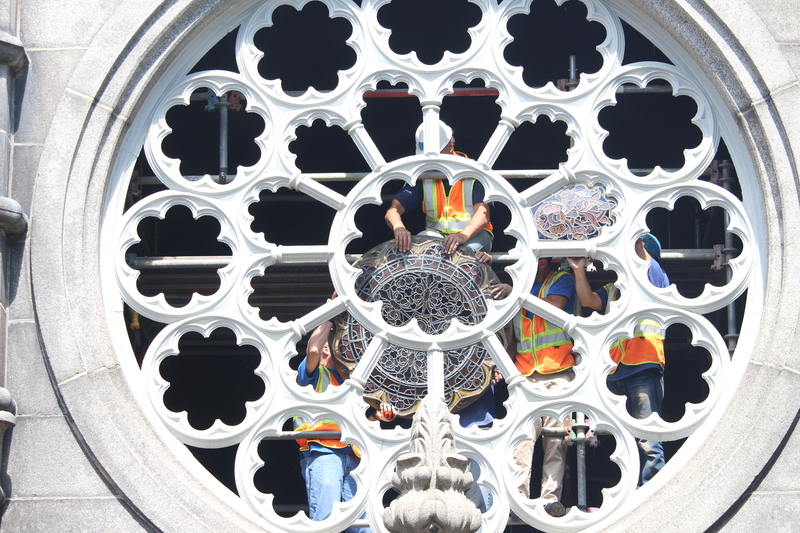 The Great Rose Window was commissioned in 1845 by Jacob Bigelow as part of his original design for Bigelow Chapel. 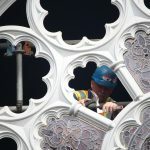 Bigelow selected the firm of Ballantine and Allan from Edinburgh, Scotland to furnish the colored and leaded glass, and to work with him on the design. 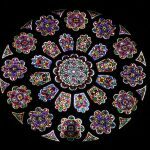 The Great Rose Window is an important record of the firm’s early production and was among the first colored glass shipped to the United States by Ballantine and Allan. 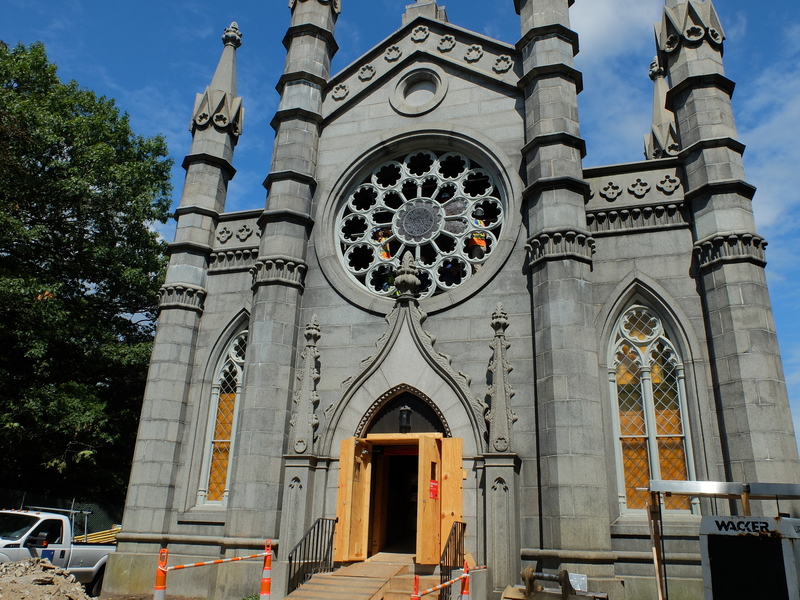 On August 30th, the fragile glass panels were carefully removed from their historic cast-iron frame and were transported to the studio of Serpentino Stained & Leaded Glass Inc. of Needham, Mass, where they will be restored with oversight from Consultant Julie Sloan and Mount Auburn’s preservation and curatorial staff. 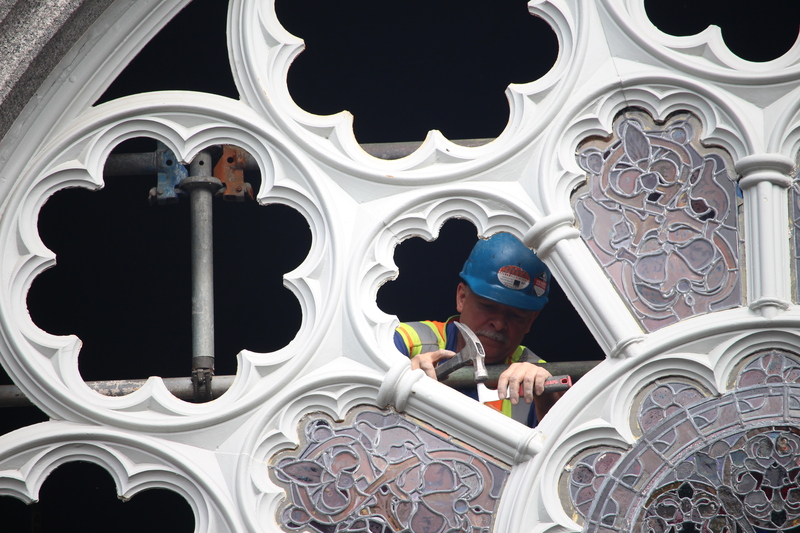 To make a gift and join us in restoring the Great Rose Window, please click here. 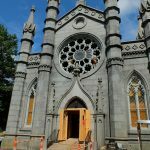 Or contact Jenny Gilbert, Director of Institutional Advancement at 617-607-1970 or jgilbert@mountauburn.org for more information. 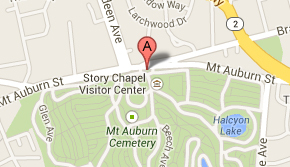 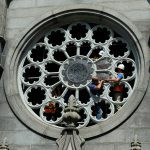 Good luck with your restoration of the rose window at Bigelow Chapel. 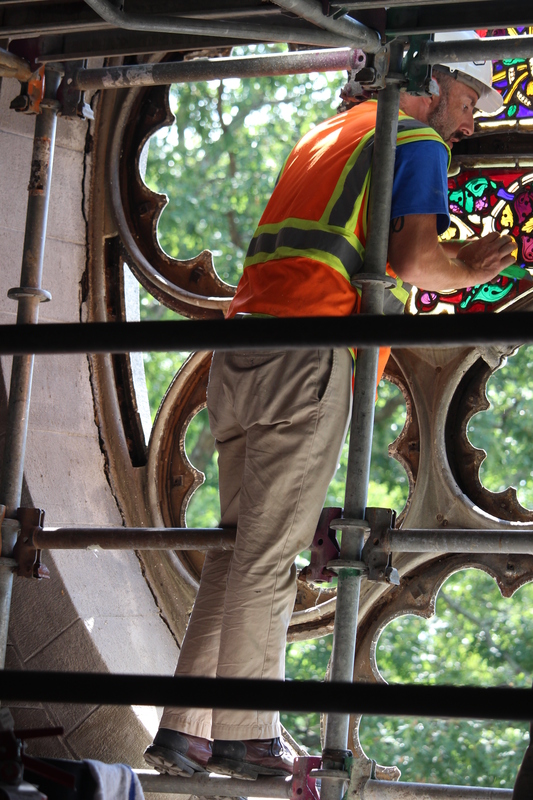 I hope that it’s as successful as the restoration of the Ballantine and Allen lancet window in the chancel.